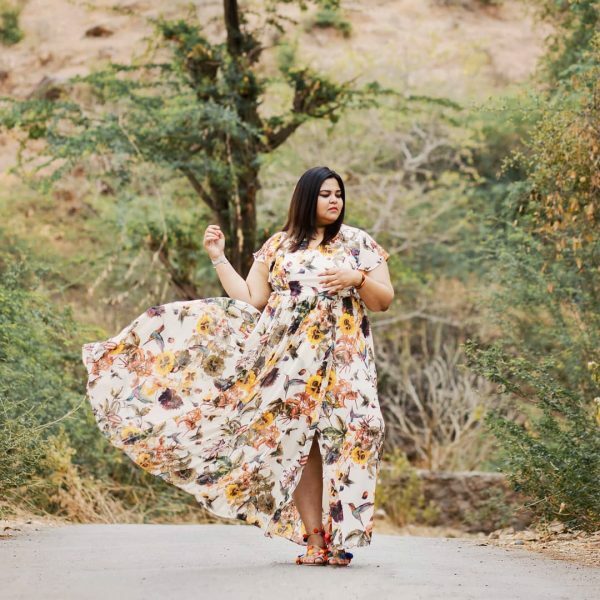 Aakansha Luthra or you can call her by the name ‘Curvy Diva Chic’, is all about body positivity, travel, plus-size fashion blogging, make-up and so much more. Her Instagram feed imparts positive vibes and so many colors that you would get mesmerized. I ran into talking to her and had so many questions to ask! 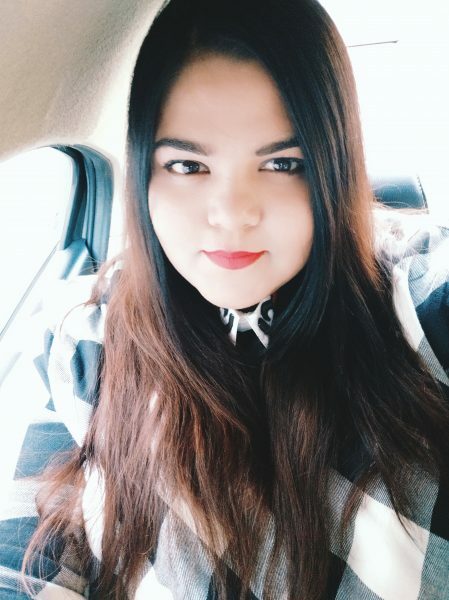 So here is a brief about who is the Curvy Diva Chic and all that you must know about her. ♥ I am someone who would pick skirts over pants. ♥ Someone who loves to dress up for herself, love red lipsticks and coral pink being my soul color. ♥ I love cooking and travel to stay sane! Tell our readers about your Blog- Curvy Diva Chic. CURVYDIVACHIC.COM is an Everyday Curvy Girl’s Blog about Fashion, Travel, and Lifestyle. I started my blog in the year 2014 with a vision of boosting the self-esteem of plus size women through the silent language of fashion. My blog boasts plus size body positivity and encourages women to love their bodies. 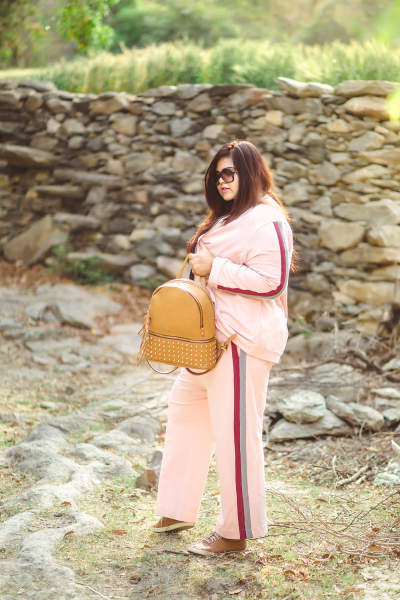 I started my blog when I realized my love for fashion and I believe we are lucky to be in the era where fashion is more about embracing your personal sense of style rather than following the path of predefined “trends” set by someone else. Fashion helped me with my self-esteem, and I thought my voice may help others like me to be who they are. I was into writing already; fashion brought out the hippity-hop personality I never knew existed in me. Plus size fashion is fun. I get to talk constructively about things I always wanted to share, like doing what you really want to do and not thinking about what others have to say, because everyone has an opinion, and we are a population of 7 billion! Tell me some of your strengths that really helped you in blogging? It all started with an urge to express me. Further, excellent communication skills, being an extrovert and a strong will to do it helped me out a lot. Thanks to being fat a major part of my life, I am now immune to others opinions about me. So yeah, nothing matters and I get to do what I want to do! Expressive, Chic, Elegant. I work on boosting self-esteem, mine as I boost others’. 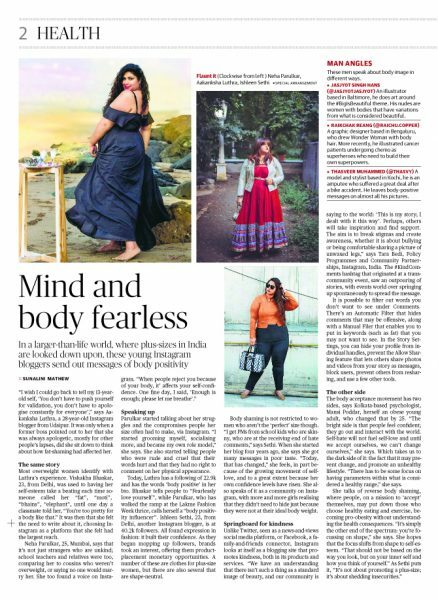 For me, the proudest achievement was when I was featured in The Hindu for my work. What was the most challenging moment in your blogging journey so far? Were your parents supportive of your career choice? The most challenging moment in career was the decision of starting a blog. My parents have been a strong support for my entire career. What would you say that is the biggest challenge for fashion blogging? Fashion Blogging is an expensive affair. Further, conceptualization of the blog post is harder than it looks. Adele! She is the reason I fell in love with fashion in the first place. I am committed to the Long Flowy Maxi dresses. Anything classic and chic, especially vintage! I believe that if you don’t find something good to wear go for Off Shoulders, they are instant fixes. When I talk about colors, I go for corals and yellows, trust me these can do way more than just brighten your ensemble. I perceive myself as a successful Social Media Influencer and becoming the voice that I am. Mention the brands or people you have collaborated with. Daniel Wellington, Stalkbuylove, FabAlley, Lastinch etc. to name a few. 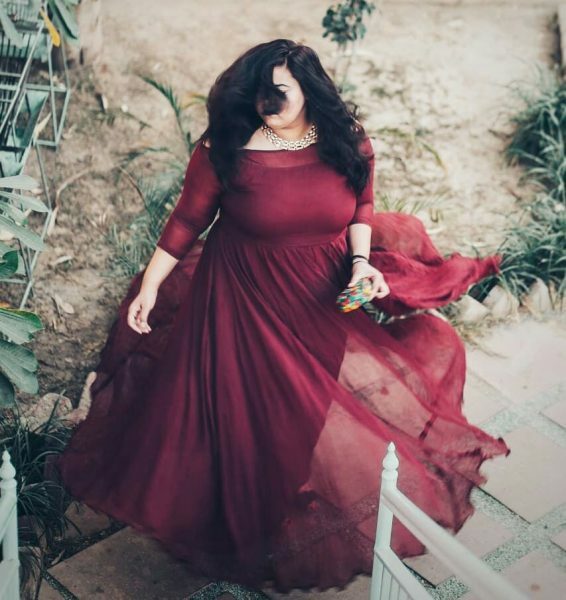 We hope the Curvy Diva Chic makes a difference and spreads tons of body positivity through her fashion. It was a pleasure talking to such an amazing girl with so much to share. If you wanna know more about her, you can follow her on Instagram and Facebook and check out her website as well. Previous articleMUST READ | Daily Dump and Eco Hut will make you manage your waste!